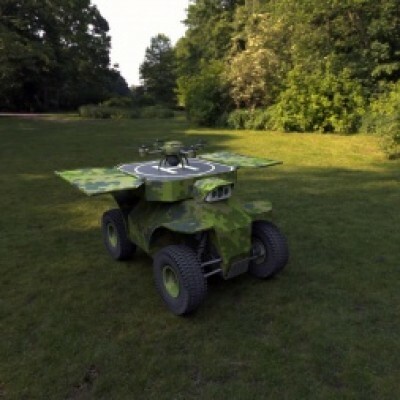 Robotic transport platform ROVER S5 allows creating an unmanned complex that consists of a ground robot and an onboard aircraft. In such a complex, the ground robot delivers the aircraft to a specific location to execute flight tasks, which reduces the power used and time spent for flying from the place of dislocation to a specific area, thus significantly extending the operational range. In addition, the ground robot has a considerable amount of power that can be supplied to the UAV. One is a tethered type of an aircraft. This version allows the ground vehicle to supply electric energy to the aircraft via wire so that it has enough disposable loads to rotate the screws. This version permits the aircraft to stay at a specified height for an indefinitely long period of time. 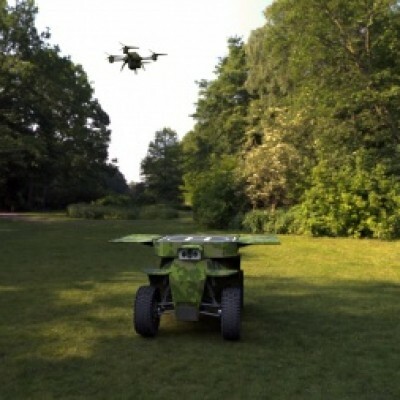 The second version is an unmanned aircraft that operates in an autonomous mode; it automatically takes off and lands on a ground vehicle. Unlike the first complex variant, in which an aircraft hovers over a ground robot, the second variant allows a UAV to fly within a considerable distance from a ground robot. When a flight mission is fulfilled or the batteries are flat, the UAV automatically lands on a ground robot and recharges its batteries using the robot’s power generation system. An unmanned robotic complex comprised of a mobile robotic platform as well as vertical takeoff and landing, has the following applications, depending on a payload taken. Video cameras are fixed on a gyrostabilized suspension and are able to obtain surveillance range of several miles. The use of multispectral video cameras with a night vision option ensures 24-hour surveillance and a high degree of detection of distant objects. A UAV conducts flights over the specified perimeter in the autonomous mode. For recharging, it lands on an unmanned ground vehicle at the location rather than its original takeoff. 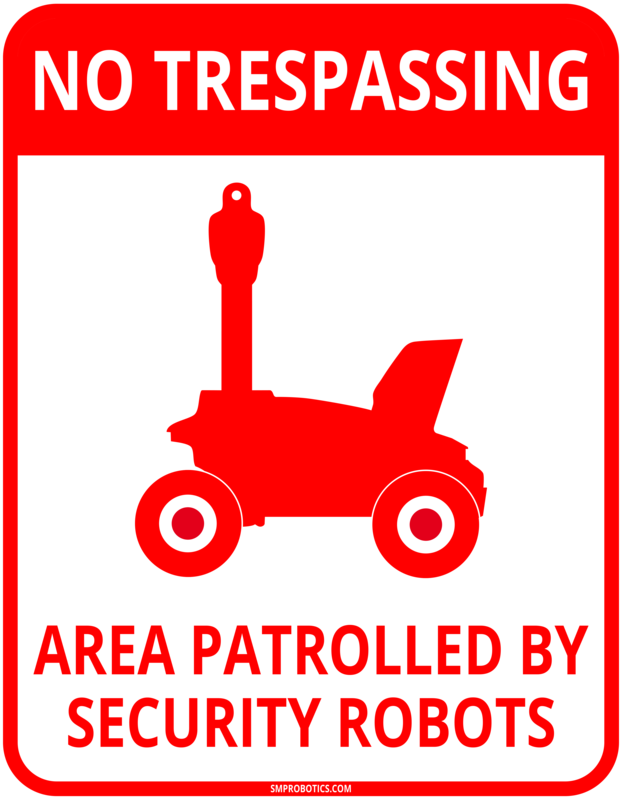 Thus, performing perimeter surveillance in hard-to-access areas becomes feasible. Video cameras and a video signal transmitter fitted into the UAV allow transmission of video images over a considerable distance. At a flight height of 328 yards, a stable connection is available within a 21-mile range. A radio repeater lifted by a UAV can quickly set up a radio communication network to cover large areas. For such applications, using a tethered execution of UAV with a ground robot is effective. A quadcopter and extender receive electric power through a wire from a gas-driven generator of the ground robot. This technique allows a UAV to hover over the ground robot for indefinite periods of time. Using an unmanned ground vehicle as an UAV carrier pursues two aims — to provide the UAV with electric power and to find the most convenient location for the extender. 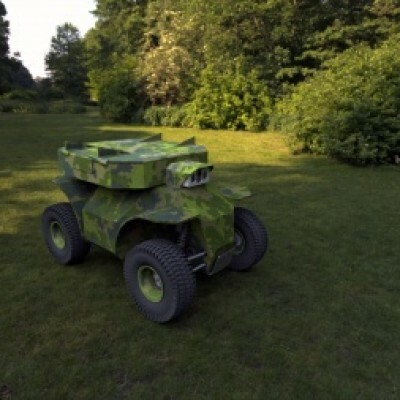 The ground robot’s high mobility, maneuverability, and autonomy give it a considerable advantage over off-road automobiles in the aforesaid mission. A group of unmanned robotic complexes fitted with onboard extenders are able to set up a self-organizing MESH network to ensure automatic operation in case of a possible failure of some cross-point extenders. Such unmanned complexes can be delivered to a disaster area by trucks with high terrain-crossing performance. A LED floodlight that is mounted in the UAV can enable rapid illumination of objects during search and rescue operations as well as for carrying out other missions. The tethered aircraft that is connected to the ground robot has an unlimited lighting time. The unmanned robotic complex can be effectively used to distantly measure radiation levels without risk to an operator. 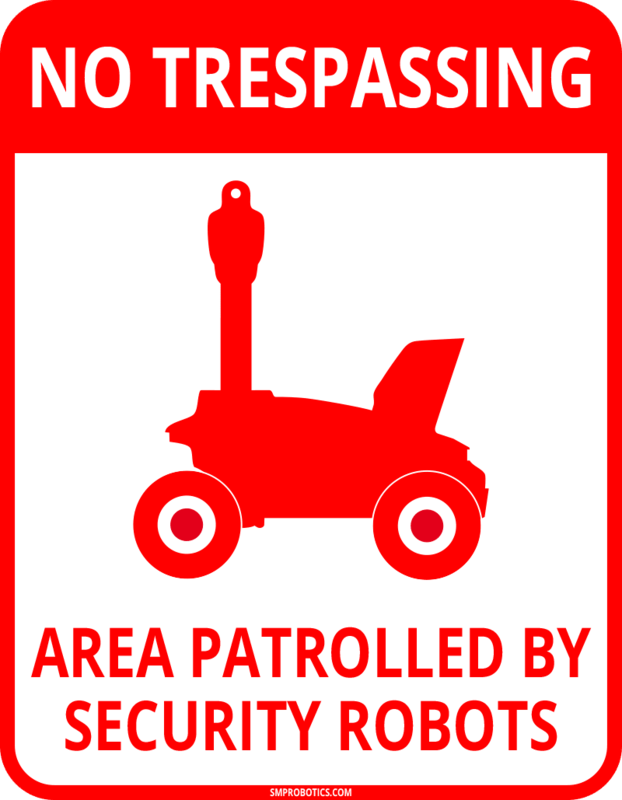 Automatic control systems allow taking regular measurements in a fully autonomous mode. The highest efficiency of the unmanned robotic complex has been achieved in missions that require systematic and methodical measurement taking. The complex is very cost effective — it allows taking accurate measurements without the use of personnel and vehicles for transportation of operators. The wheeled chassis allows for long traveling distances, while the UAV is able to reach areas and facilities that are difficult to access. Once all necessary measurements are taken, the UAV returns to its ground robot in order to proceed to the next takeoff point. For effective operation at high latitudes and further north, the aircraft’s vertical takeoff and landing is placed in a closed, heated container to prevent the accumulators from fast discharge. This also ensures quick starts of the UAV at low temperatures.